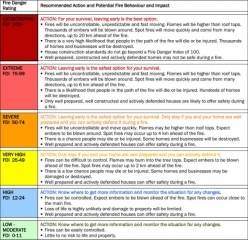 Fire Restrictions and the Associated Fire Rating System. Fire Danger Rating Signs offer bushfire weather warnings as issued by the Bureau of Meteorology. By relating the factors of the degree of curing of the fuel (i.e. how dry it is), the windspeed and atmospheric moisture (Relative Humidity), a fire danger index figure is produced. It’s then expressed as a danger classification ranging from Low/Moderate to Catastrophic. 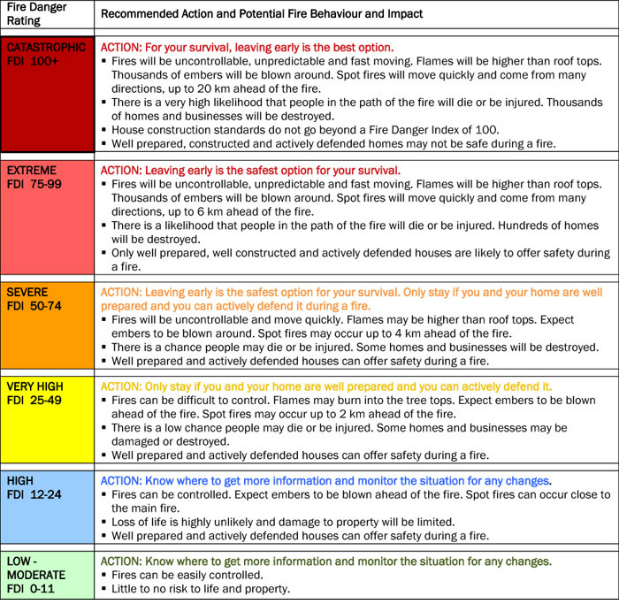 This rating system, as illustrated below, ensures a realistic forecast as it takes into account all elements that contribute to the probability of a fire and it’s severity. 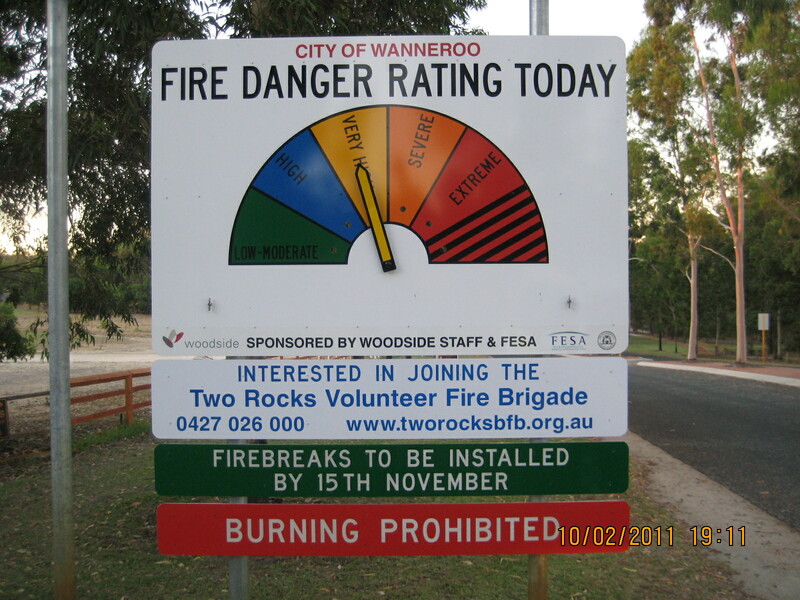 Fire restrictions apply in the City of Wanneroo during the fire season. The information following is intended as a guide only and should be confirmed with the City of Wanneroo on (08) 9405 5000 before being acted on. PERMITS REQUIRED from the 1st of April till the 30th of November. Firebreaks must be cleared by 15th November. 1st December to 31st March BURNING PROHIBITED. These dates may very depending whether summer is early and finishes late. a TOTAL FIRE BAN OR VEHICLE MOVEMENT BAN may come into affect. For further information on fire restrictions and Total Fire Bans please check the DFES link. For further information on Vehicle Movement Bans please check the City of Wanneroo. For further information on what you can and can’t do on a Total Fire Ban day click here.